You know by now that I will eat pretty much anything. However, there are some foods that I would prefer not to eat if given the chance, and cucumbers are nearly at the top of that list. A little slimy and full of that … I don’t know … cucumber-y flavor, they never seem to add anything notable to a dish other than a light slime and the vague flavor of garden-y water. As for you health heroes out there doing things like eating cucumbers with your hummus instead of delicious, delicious pita chips, I applaud you: you are a better snacker than I. Salads, wraps, dips, and more — they are ALL better without cucumbers. So what business do I have making a cucumber tomato salad? 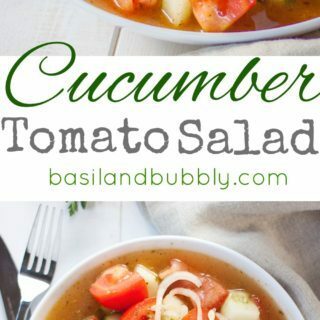 Because cucumber tomato salad is one of those Southern classics that is so good, even this lifelong cucumber avoider can’t say “no”. Garden fresh tomatoes, thinly sliced sweet onion, and yes, the bright, watery flavor and crunch of my least favorite food, the cucumber, all come together to make a vibrant, veggie-packed, Non-Slimy, vegan and vegetarian-friendly side dish that can stay on the picnic table even on the hottest of hot summer afternoons, without any worry of sending everyone home poisoned. And really isn’t that all any of us are after? Something to sustain us and not leave us poisoned? But also, the deliciousness. The bright, vinegary, crunchy, Summery deliciousness. Cucumber up, y’all! Slice the tomatoes into 1" chunks. Cut the cucumber length-wise, then slice into 1" chunks. Thinly slice the onion. Whisk the remaining ingredients in a large bowl to make the dressing. 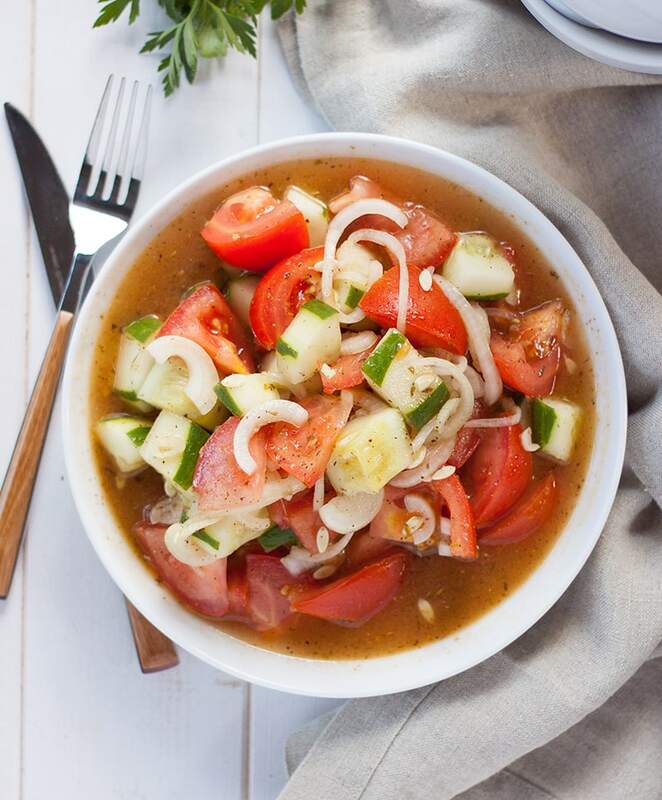 Add the tomatoes, cucumber, and onions to the bowl and toss to coat. Let sit for at least an hour before serving, although it's best if left overnight in the fridge and then served chilled. I make something similar all summer long! I add a little feta cheese right before serving to add a little tang! This looks so good! 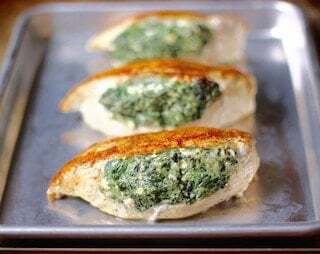 I’ve never had it with feta – I’ll have to give that a try! Love that you used vegetables I always have on hand in the summer. one of my favorite summer dishes! Yum! Beautiful styling! Such a great use of all the summer cucumbers and tomatoes. Seems easy enough! This is my kind of “cooking”. 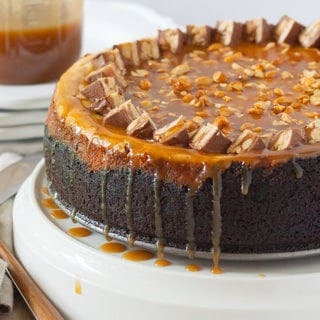 Tomatoes scare me, but I’ll have to get over that and make this when my mom is here — it has her name written ALL over it! It’s great with small diced Havrati cheese and because I love onions I use red and sweet yellow onions and cut them a bit thick and use fresh basil. This is delicious with nearly anything. Nice to meet you. I’m from NC but residing in another state at the present time. I love to cook.